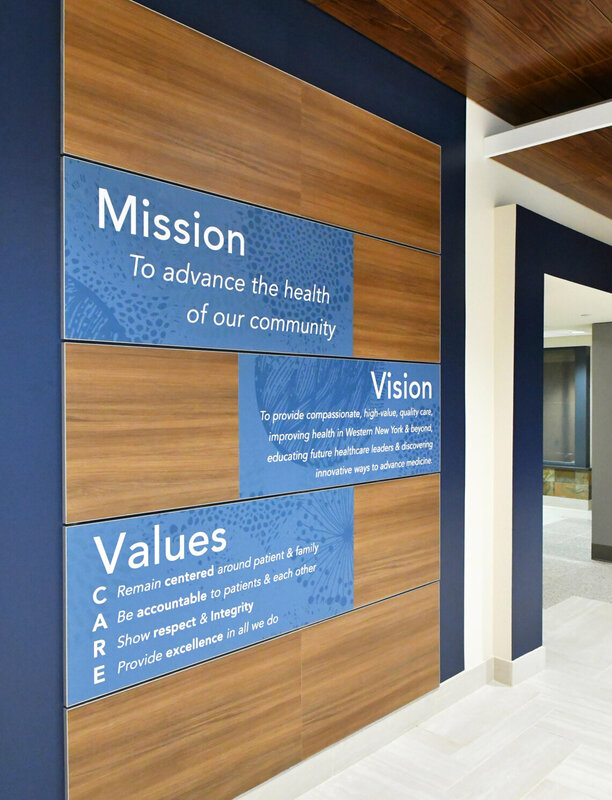 Takeform is collaborating with Kaleida Health to improve patient and visitor experience across their system through improved wayfinding and experiential graphics. 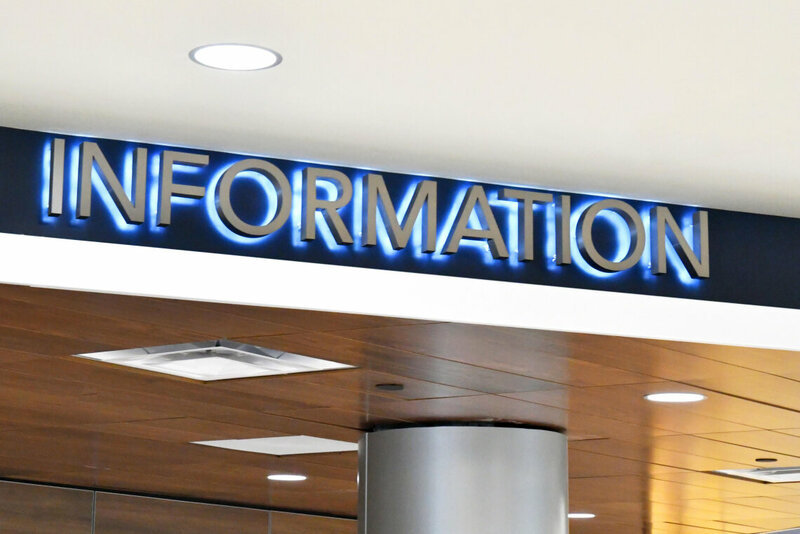 Inside and out, we're helping them convey an image equal to the innovative, world-renowned care that's provided in their facilities every day. 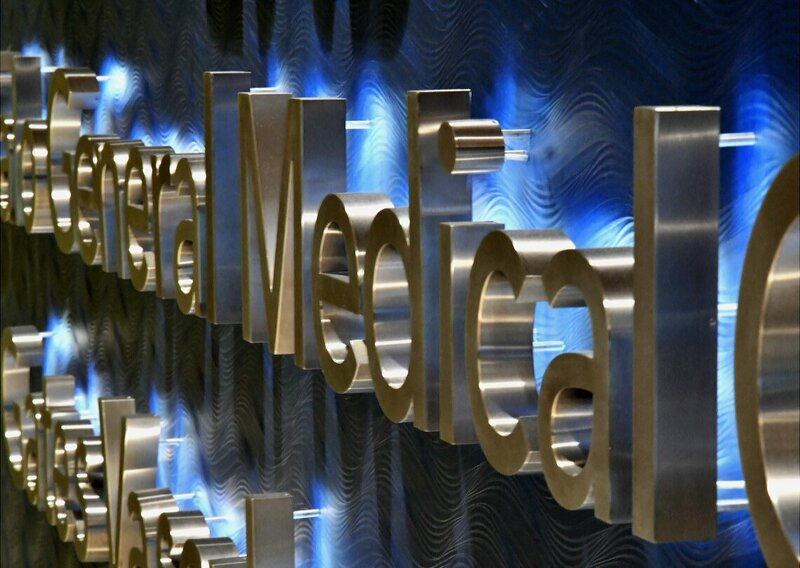 Case in point, Buffalo General Medical Center (BGMC). 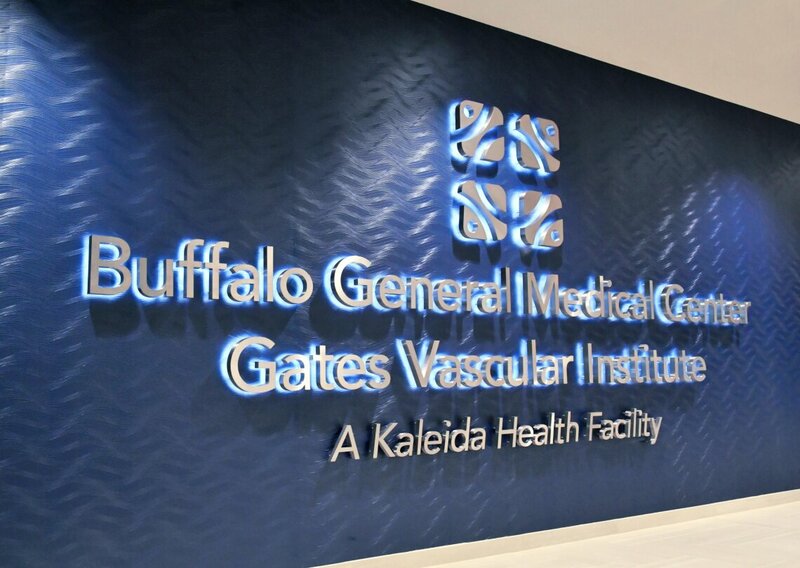 Following the completion of Kaleida's adjoining Gates Vascular Institute and the John R. Oishei Children's Hospital, Buffalo General Medical Center was ready for renovation. 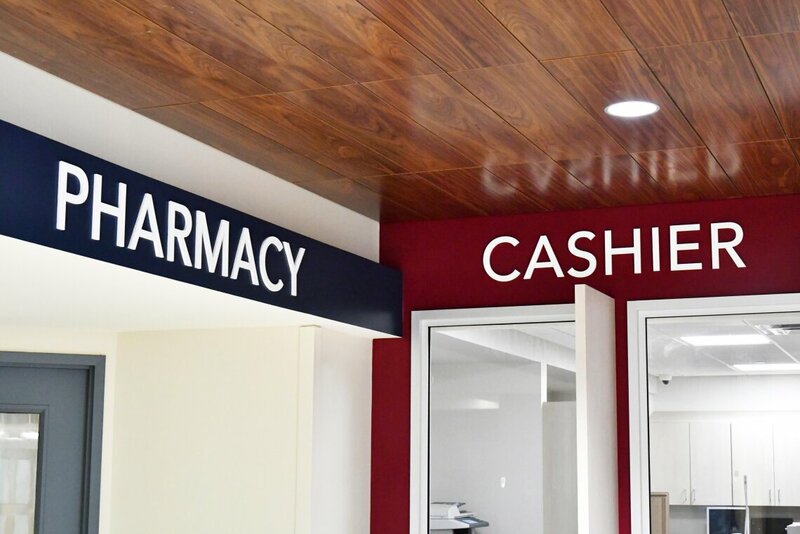 That work began with the main entrance and lobby to create a warm, welcoming and brand relevant first impression. Designed by Get Fresh Industries and Design Synergies Architecture, the new 11,000 square foot space features a concierge-style entry and registration desk surrounded by inviting waiting areas, functional seating, a range of hospitality-inspired amenities and experiential graphics that enhance the space and experience. 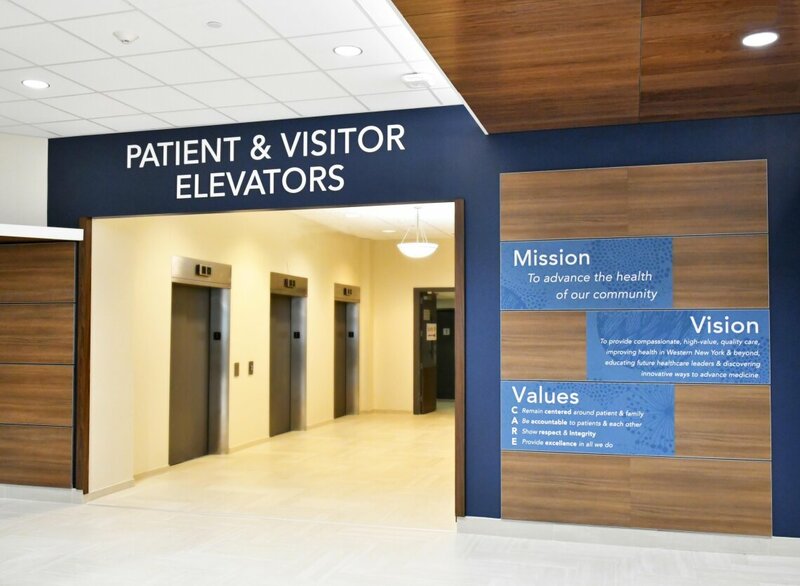 From bold-to-subtle, graphic expression helps define the renovated Buffalo General Medical Center main entry and lobby. 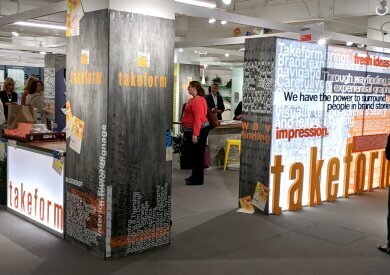 Glowing confidently against beautiful wave-textured wallcovering, we brought strong brand presence to the space through a halo-illuminated logo installation. 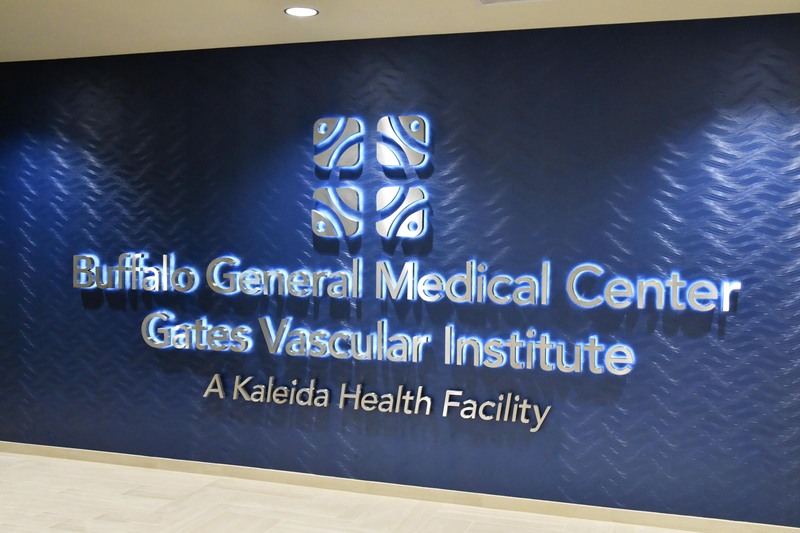 The contemporary design and materials act as a reassuring focal point while expressing Kaleida and BGMC's spirit of healthcare innovation. This theme continues throughout the space to identify key destinations. Adjacent to the main elevator corridor, Mission, Vision, and Values are backed by subtle organic textures that integrate with space's warm finishes. Glass-enclosed office spaces are immersed in natural themes through the use of dramatically subtle window films. 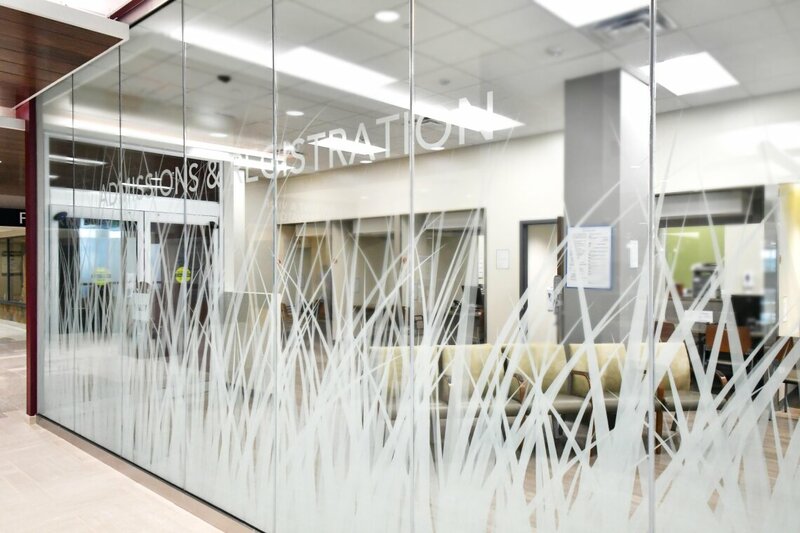 These understated natural themes offer a calming visual layer while providing privacy for patients and families as they work with hospital staff. Spark some inspiration? Let us know how we can help.